Save BMP as TIFF in batches professionally. 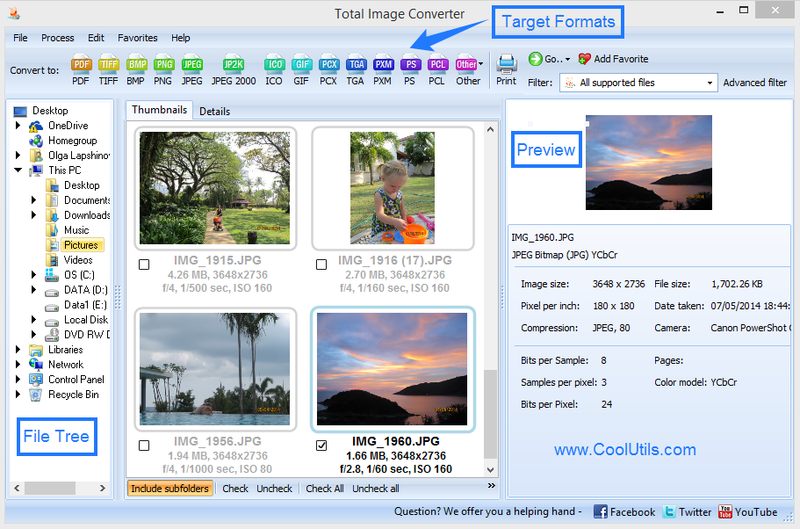 You are here: CoolUtils > Total Image Converter > Save BMP as TIFF in batches professionally. 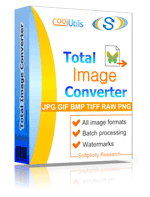 Total Image Converter is one of the fastest and most versatile image converters available. It is very user friendly, as it features an option, which allows you to convert as many BMP images to TIFF as you need. This is one of the many reasons why this BMP TIFF converter is great for both professional and amateur photographers. It does not take ten years of experience to handle this program. 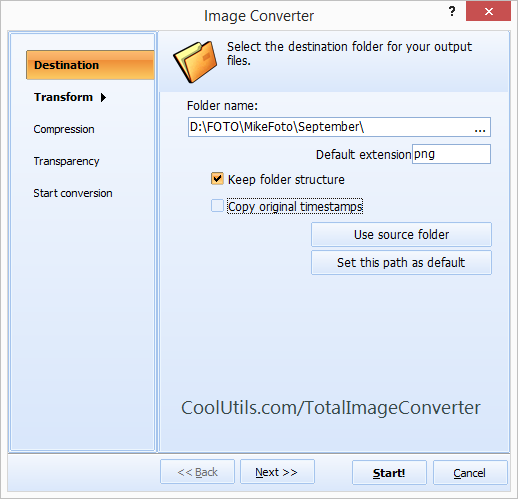 Total Image Converter has a robust user interface, which reveals all options and functions. It offers a number of editing options, so you can shape your output images in your preferred manner. The program features a built-in viewer, by aid of which you can check output quality and take steps to achieve your preferred quality level. You can rotate, resize and crop your images. Turning BMP into TIFF is no longer a problem, even if you are dealing with a large collection of images. Launch the utility and specify the folder with BMP images in the file tree. Mark the BMP images, which you are going to convert to TIFF by ticking them. Use the buttons below to check-mark your images. Click 'Check All' to check all the images in one go. If you launch conversion with all the files checked, all of them will be converted. If you would like to leave a few files unconverted, uncheck them manually. If you have decided not to convert them right now, click 'Uncheck All'. If you would like to convert one or a few BMP files to TIFF, check them manually. Select 'TIFF' in the target format bar or via Convert menu. Use the wizard to select destination folder. Here you can rotate, crop, resize, and watermark your images and select preferred image color and quality option. When you have adjusted your settings, click 'Start'. 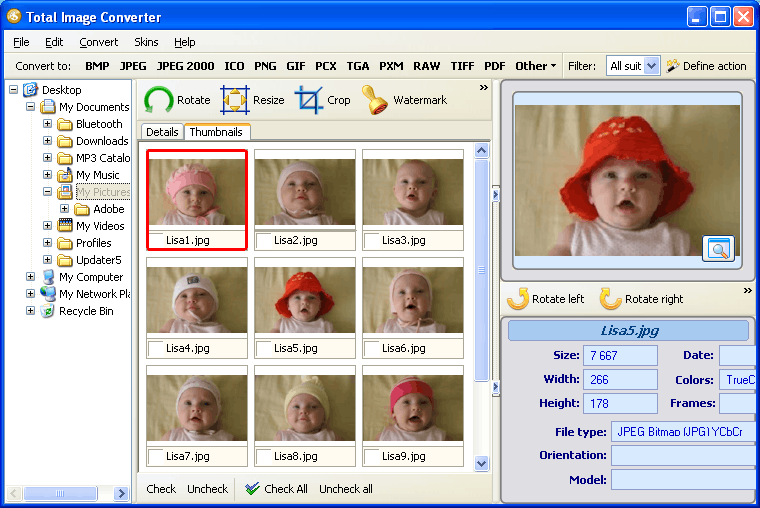 This batch image converter is shareware, which you can purchase online. However, a free demo version is available too. You can download it and use it for 30 days and evaluate its versatility and user friendliness. If you register, you will receive updates and technical support for free regularly.